The dominant ingredient in this product is Sandalwood - which is known for its sweet and rich scents. This is believed to bring calmness into people's minds. Mainichikoh Byakudan (Everyday Sandalwood) is made of mostly high-quality Indian Sandalwood, plus herbal medicines, which delivers a full-bodied fragrance. 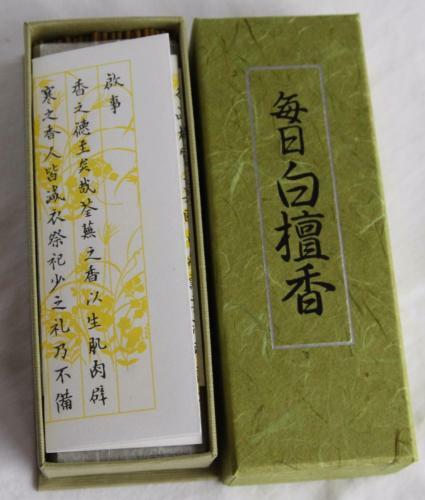 This is a high-quality Japanese Incense product - so if you're a Sandalwood fan, you're in for a treat with this fragrance. Byakudan is the Japanese word for Sandalwood. 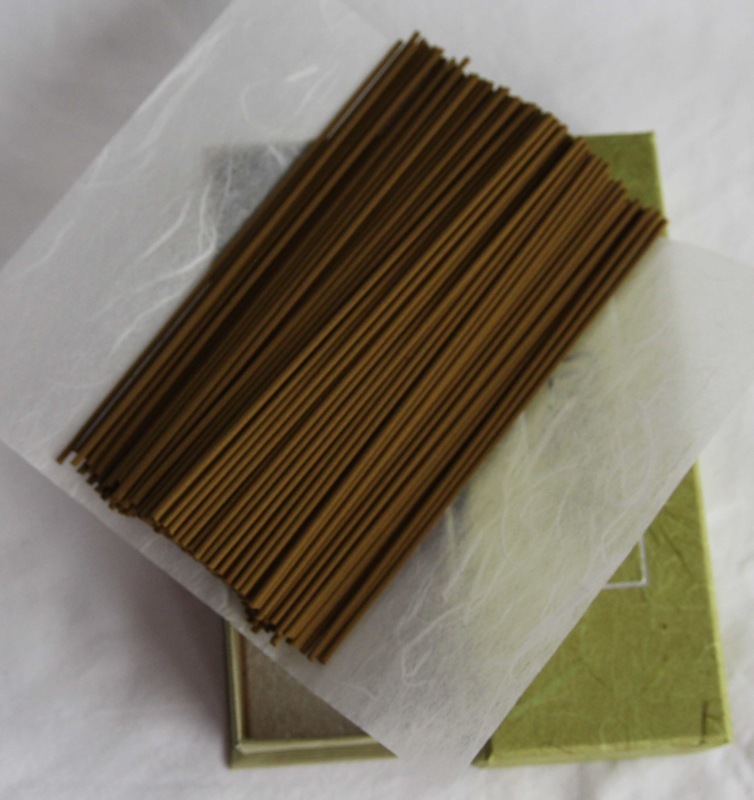 This product is also available in a shorter stick format - packed in a Paulownia wood box being also bound like a book and having a simple fastener. The 'binding' is of fine Japanese paper/card - making this an ideal gift for someone special. See: Mainichikoh Byakudan 60 Sticks boxed & bound. Mainichikoh Byakudan (Everyday Sandalwood), Jinkoh Juzan (Aloeswood) and Kyara Kongo (Aloeswood).